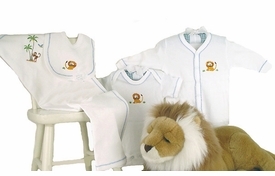 Gordonsbury offers some of the most luxurious and finest layette available. 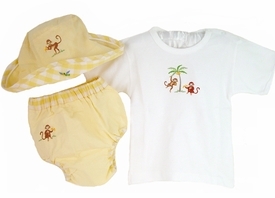 The collection features hats, onesies, bibs, diaper covers and other items for boys and girls in a variety of handcrafted designs. Each piece is hand embroidered with delicate fine detail on luxurious cotton. 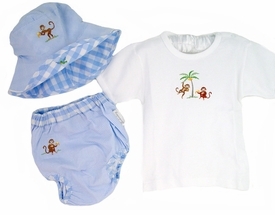 Choose from sailboats, nursery animals, roses and other motifs to welcome baby into the world. 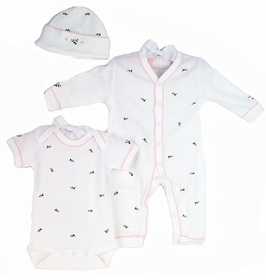 Soft and comfortable, the layette also coordinates with the Gordonsbury crib bedding collection. Makes a great gift for any new arrival.